As soon as we began homeschooling (6 years ago!) we noticed that the decision to begin homeschooling completely changed how we parented our kids, looked at life, and approached just about everything. I try to set an example for my kids that learning never ends. I like them to see me trying out new crafts, new experiences, reading a lot of books, and even something as simple as trying new recipes. 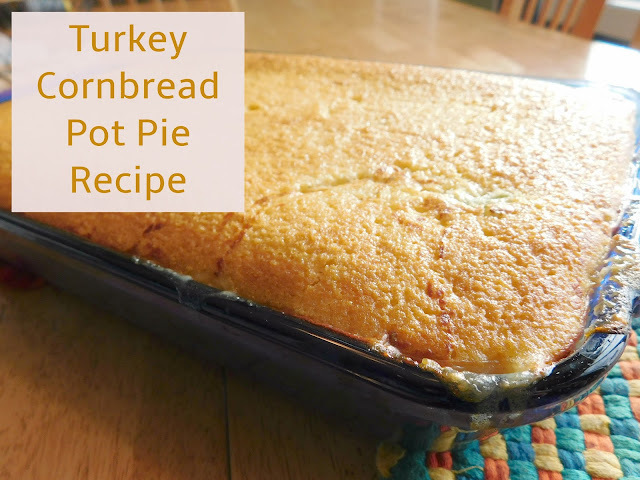 (Like the Turkey Cornbread Pot Pie we made this week as part of the Pinterest Challenge). They see me succeed and they know I sometimes fail too. I talk to them about the challenges I take on and the fun there is in pushing myself beyond my comfort zone. I know that I can tell them all these things but I think they learn best when I lead by example. Thank you! My husband sure loved it; I'm not a huge fan of cornbread to begin with so while I enjoyed it I can't say it was my favorite.